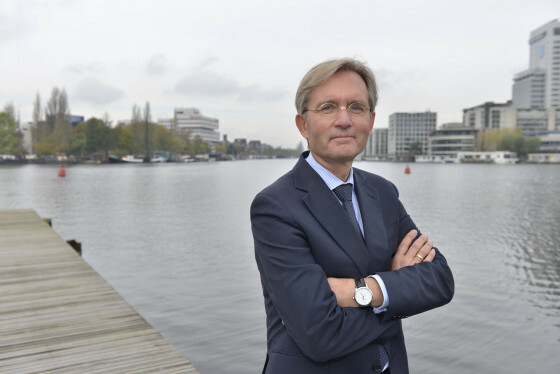 Voting in for your local water board on March 18 is a key part of Dutch democracy and gives everyone a say in the decision-making process, says Gerhard van den Top, the dijkgraaf or the head of the board of the regional water authority in Amstel, Gooi en Vecht. Since our earliest efforts, some 700 years ago, to defend our people and properties against sea and river water and to reclaim ‘polders’ from lakes and sea area, the Netherlands has separated water taxes (and governance) from overall taxation in our general democracy. The Amstel, Gooi and Vecht Regional Water Authority, and 22 other regional water authorities in the Netherlands, raises a specific water tax from all those who benefit from the water security and quality we safeguard in our region – including expats who live and work here. Water is a fundamental and long-term concern in a country such as the Netherlands, one-third of which lies below sea level, and two-thirds of which is prone to flooding by one the major rivers discharging through our delta into the North Sea. By separating the water tax from general taxation, we prevent these long-term concerns from being out-competed by other, often more short-term political priorities (education, health and other social concerns). But, of course, under the ‘No taxation without representation’ principle, a form of democratically elected governance needs to oversee the Regional Water Authorities, as these turn tax income into actual plans and projects in the field of water security and quality. On this coming March 18, voters can decide who will occupy 23 out of 30 seats for the General Council of the Water Authority. A total of 13 parties have filed a list of candidates for these elections, and have been campaigning to win voter confidence for the past two months. The other seven seats are reserved for representation by large landowners (farmers and nature conservancies) and for the business sector. After the elections, a combination of parties representing the majority of seats in the Council develops a coalition plan and forms an Executive Committee to oversee its implementation during the Council’s four-year term. Both the General Council and the Executive Committee are presided over by the Regional Water Authority Chairman (‘Dijkgraaf’ in Dutch). Not being elected but appointed by the king of the Netherlands, the Chairman has a similar role to that of a mayor in a municipality. Our regional public Water Authorities are responsible for water security and quality. This means we maintain dykes as well as hundreds of ground and surface water levels in the 700 km2 area under our responsibility. Safety from floods, water treatment and quality and the facilitation of recreational water use are part of our responsibility. Our region comprises 20 municipalities, including the national capital Amsterdam. In addition to densely populated built up areas, our region harbours large areas of open water, agricultural land and nature parks. The region also has a great diversity of cultural, social and economic groups, from highly affluent to a large number of (primarily urban) people living at or below the minimum wage standard. While one might expect that the realm of water management would not lend itself as much to political debate as other public service areas in the general democracy, each of the 13 political groups competing for votes is taking distinctly different positions on such areas as the tariff, our social policy towards those with low income, expenditure on innovation and sustainability-enhancing measures, the need for investments in nature quality, recreational use and so on. To facilitate an informed vote by expats living and working in our region, we decided to offer an English translation of www.kieskompas.nl, the evaluation tool that voters may use to determine their party of preference for the March 18 elections. Our regional water authorities are mandated government agencies that raise water taxes from you, and work hard to offer you a secure and clean water environment for you to experience a pleasant and safe living and working environment every day. March 18 is your opportunity to provide us with direction on where we should be driving our efforts in the coming four years. By casting your vote, the expat community in our region is represented on our Council, and can take your concerns on board. For more information on these elections check out our website www.agv.nl, or send us an email to Gritta.Nottelman@waternet.nl. We will try our best to answer your questions within 24 hours.